Below the village of Stavros, in the Gulf of Polis, lies the beach of the same name. Here also is a small, sheltered harbour, a place of anchorage for the many fishing boats of the area at large. On the sea-bed lie the ruins of an ancient sunken city. 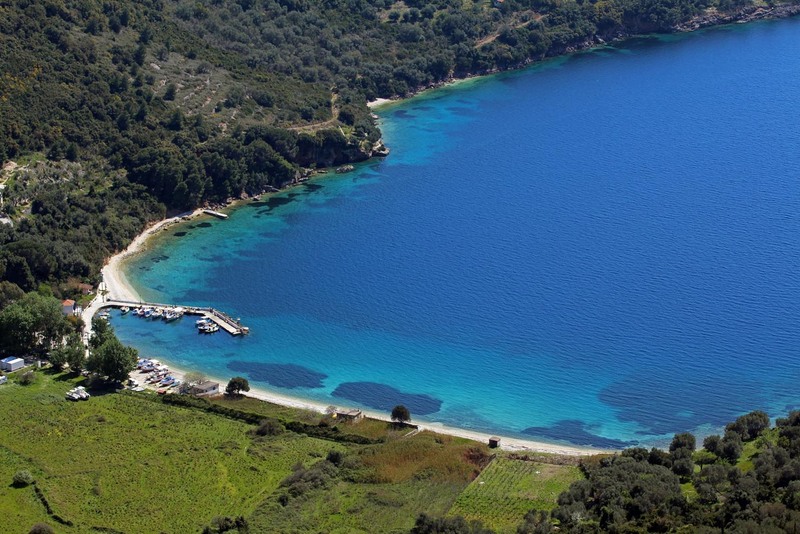 On the north side of the harbour is the Homeric Cave of Loizos in which was found the well-known “Efchin Odyssei – With the Blessing of Odysseus” of the 2nd century BC. This is now kept in the museum of Stavros. Here one can enjoy the shade and coolness offered by tall trees, particularly pines, poplars and cypresses, reaching the sea itself. The pier at the beginning of the beach, with its caiques and fishing boats, is an ideal place for endless dives, while the waters that remain calm under almost any weather condition, offer themselves for hours of swimming. It is a well-organized beach with its canteen and the possibility of hiring boats.